By Land or by Sea??? Before my son started kindergarten, our vacation schedule was fairly regular… 1 week away in April (NOT Easter Week) & one week in October (to celebrate our anniversary). 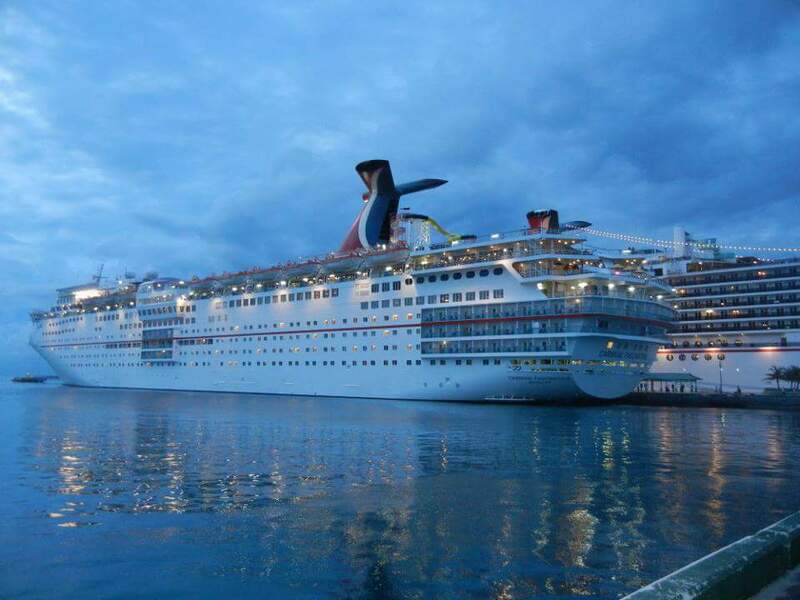 We usually selected 1 cruise and the other trip would be to an all-inclusive in the Caribbean. Now things have changed… between school, soccer, baseball, my husband’s football schedule – I’m lucky to squeeze in one good vacation a year. And the question always comes up whether to cruise or to stay put for the week at a beautiful resort. 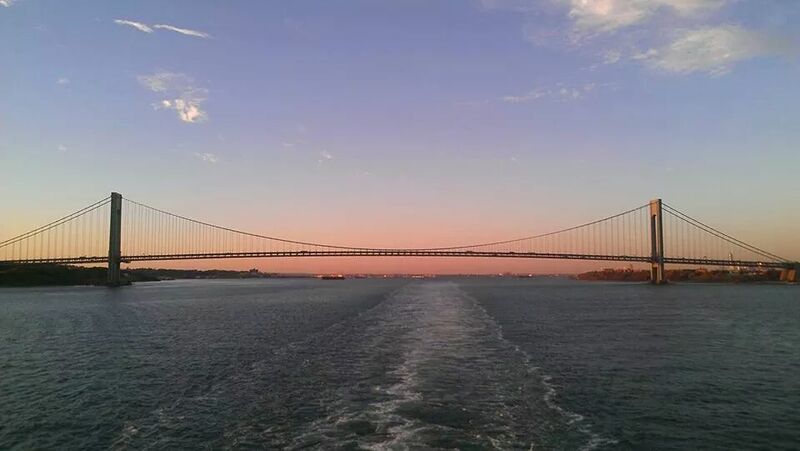 “Aft Balcony” view leaving NYC. I LOVE to cruise. To me, there is nothing better than looking out (from a large, stable, floating island) & seeing that beautiful aqua blue water all around me. The food is amazing & the ports provide unspoiled beaches & plenty of shopping. A real win-win in my book. Unfortunately, it’s gotten expensive with 3 full price fares, plus 3 higher-than-ever airfares. We’ve sailed on Carnival, Norwegian & Celebrity (our top choice) and usually base our trip on dates & itinerary, not so much on a specific ship. A balcony cabin has become a “must-have” (the Aft Balcony being ideal) so I can take advantage of that water view the entire time. We eat & drink our fair share, make a few deposits at the Casino, see a couple of shows and my son takes advantage of the pools and the Kid’s Club. It’s all good, as they say. The Ocean Sand & Blue Resort in Punta Cana. All-inclusives are also amazing… pay for everything up front and then enjoy your week, wallet-free. Our introduction to this vacation style was on our honeymoon (almost 17 years ago) to Sandals in the Bahamas. It was wonderful, and we went on to try their “Beaches” resorts in both Negril and Turks & Caicos. Over the years we’ve found many comparable AIs (All-Inclusives) in Mexico and the Dominican Republic that offer the same concept for a whole lot less. The resorts are safe & beautiful, with amazing beaches, pools & activities. You can literally do everything, or simply relax & do nothing, while looking out over impeccable grounds & a breathtaking seascape. 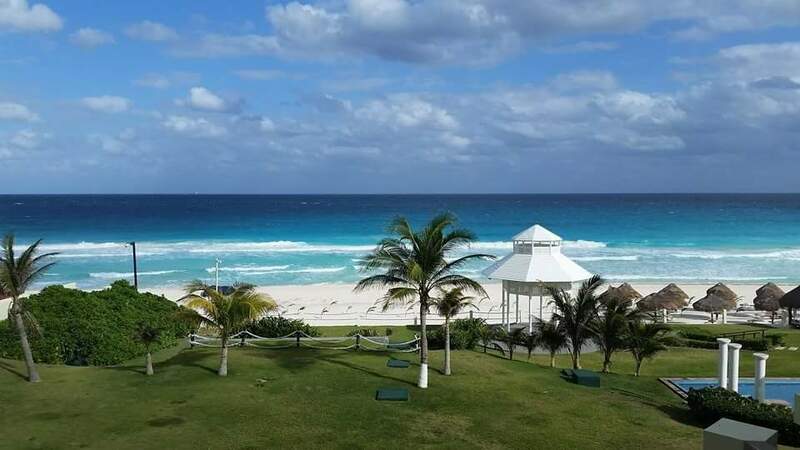 Balcony view from the Paradisus Cancun. 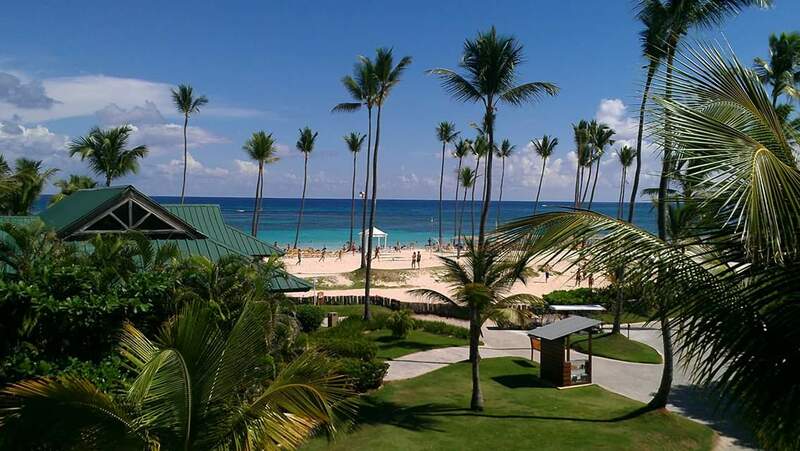 The Melia Caribe Tropical in Punta Cana – so nice I’ve been 3 times! So how does one choose??? I love the “unpack once & visit multiple destinations” that a cruise offers, but sometimes it’s also nice to visit an island for more than 8 hours & really get a feel for the climate & culture. 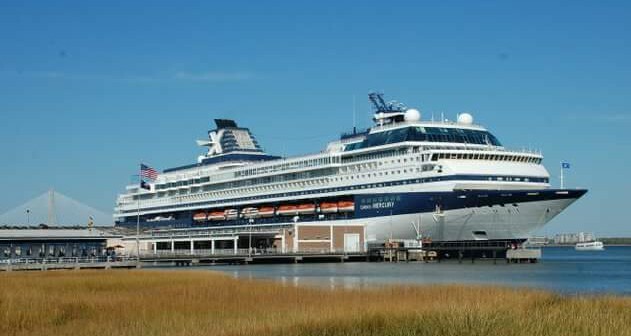 The food is amazing either way (cruises – guaranteed, all inclusives need to be higher end). Both offer entertainment… although a cruise will provide a more professional showing. As for the beaches? You can sample multiple spots on a cruise or stay on one beautiful stretch that you can visit all day, every day, while at a resort. The pools will be a lot more inviting at an AI, although the newer, bigger ships are competing with wave pools, crazy water slides & even surfing. If you need a spacious room, with a luxurious bathroom and tons of closet space, you’ll be better off with an AI, unless of course you can splurge on one of the cruise lines top notch suites. You really don’t need to spend another dime once you arrive at your AI (other than a tour or 2 & some trinkets). Cruises, on the other hand, do not include soda or alcohol, and they add a pre-set, per person gratuity to your final bill, so remember to factor that into your decision. Our Carnival Ship docked in Nassau. It really is a tough call… I love them both! My son prefers a cruise & my husband is happy to stay put at one resort. The winner this time around? I just booked a cruise for November, on the Carnival Pride, leaving from Baltimore. It became a matter of the perfect dates, a great price & a few good stops… Can’t wait!! !